Tokai Forum - a subsidiary of TokaiRegistry.com :: View topic - Check out my new Jazz Sounds, I call it Whitey. Check out my new Jazz Sounds, I call it Whitey. Posted: Sat Aug 23, 2008 6:40 pm Post subject: Check out my new Jazz Sounds, I call it Whitey. 1) The bridge does not appear original as some unused screw holes are visible. The position dots look like they are made from metal. The paint goes right up to the top of the fretboard, so I can't tell how thick the fretboard is. The tuners are non-original as you can kind of see a center hole where the originals were. 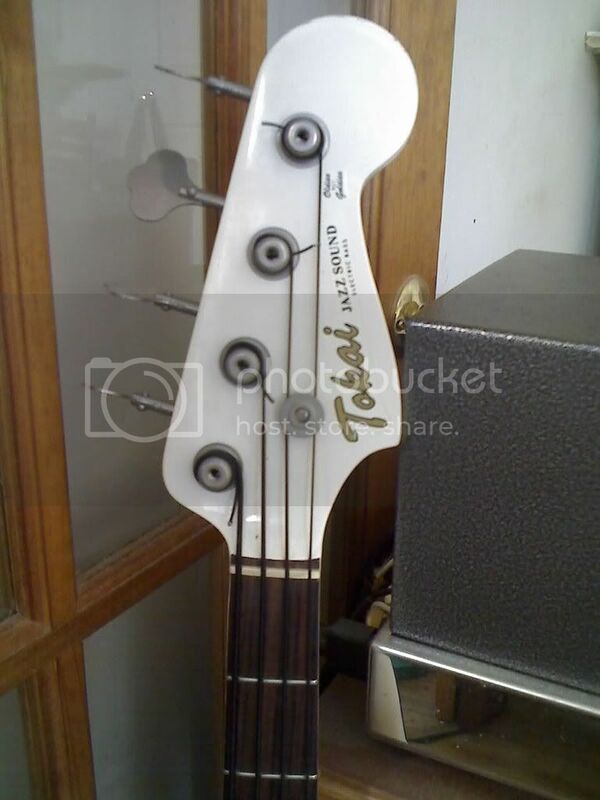 The tuners are cool though--"Crocodile" brand. They have long stems and reverse wind. The center is threaded, making me think maybe they are locking tuners, but missing the locking parts? They have an attractive dull patina to them, as does the string tree. <br>I'm not sure of the exact year, but it looks the black JB55 in the catalog. <br> The serial number is L22050. Posted: Mon Aug 25, 2008 11:42 am Post subject: Whitey is going on the block. 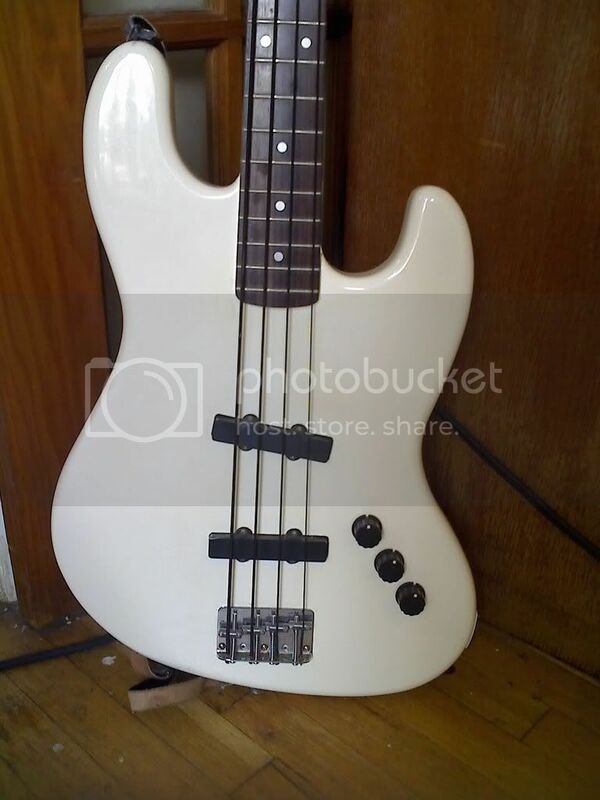 I have decided to sell Whitey, as I already have a '78 jazz bass. I reckon I will put it on Ebay in the near future.